If you don’t feel you’re spending enough time with your patients during appointments to provide the best care, it’s likely your patients agree with you. In a national survey released by The Physicians Foundation(www.physiciansfoundation.org), only 11 percent of patients and 14 percent of physicians said they felt that their visits offered all the time needed to provide the highest standards of care. Among patients, 53 percent said they felt physicians were at capacity while 31 percent said physicians were overwhelmed and overworked. Physicians were slightly more optimistic, with 52 percent saying they were at capacity and 28 percent saying they were overwhelmed and overworked. The perception of a lack of time for high-quality care is concerning as 90 percent of patients said they felt a solid patient-physician relationship was the most essential element of a quality health care system. 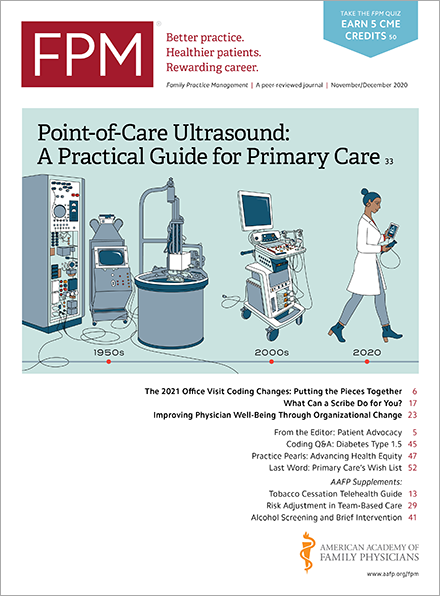 Overall, 95 percent of patients reported satisfaction with their primary physician. Only 20 percent said they often considered changing physicians. Of those considering a change, 29 percent said it was based on service issues with the physician while 24 percent said it was because of inconvenience of location, lengthy wait times, or difficulty to getting appointments. The foundation commissioned the study, which polled 1,747 patients who had two visits with the same physician, considered their "primary physician," within the past year.